Six (6) months FULL access for the price of three (3) months. 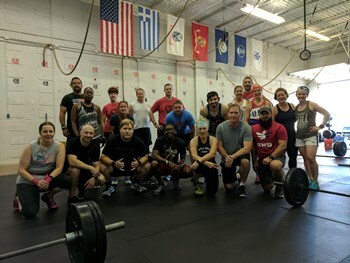 Get Full Access to all of Molon Labe CrossFit's classes, Free Biometric Screening, and a Free Recipe App. Hello, my name is Mark Nolan and I’m a veteran. My wife, Eleni and I are Christ-centered. We run Molon Labe CrossFit. It is a family safe environment where the language is clean and so is the music. The dress code is sensibly modest. We encourage and empower our members. Come join in the fun.